Our clients can avail from us a range of PVC Cable Plants that finds application in several areas. 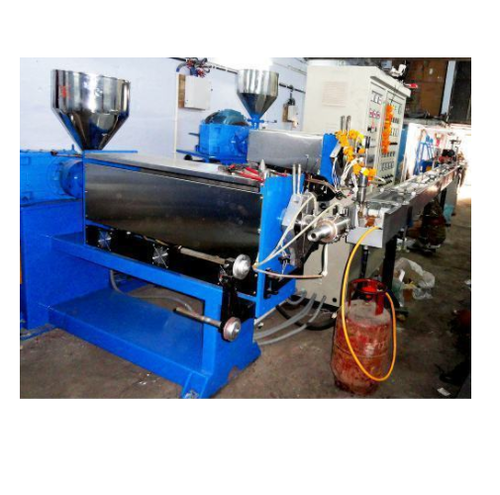 These PVC Cable Plant are known for their great operational ease and energy efficiency. These machines are highly demanded because of their flawless features such as heavy duty, maintenance free, specially designed vibratory motor. These are offered to clients at most reasonable rates in sealed packings. Our Wire & Cable Complete Plants are known for their durability and reliability. Made from premium steel, the Wire & Cable Plants are easy to operate, have great performance ability and are energy efficient. Our Wire Cable Plant is High resistance to corrosion and wear and tear make our compound plants one of its kind in the industry. We offer a wide range of premium quality PVC Cable Plants. Our qualitative range complies with the most stringent quality parameters prevalent in the industry. For these plants manufactured by us, we use top grade steel which guarantees sturdy construction and lasting performance. Our plants are great values for their operational ease and energy efficiency. We offer our plants at industry leading prices. 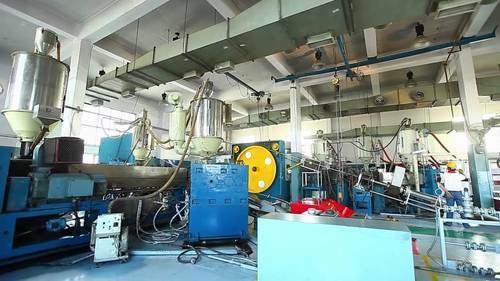 Looking for “PVC Cable Plant”?